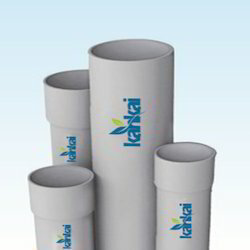 We are a leading Manufacturer of rigid pvc pipe from Rajkot, India. We are engaged in offering an extensive range of Rigid PVC Pipe. Our pipes are widely known for their sturdy design and finest quality. The raw material used in the fabrication of these products is procured from the most reliable and established market vendors. Looking for Rigid PVC Pipe ?